From March 17 to June 2, the Fondazione Ragghianti in Lucca hosts the great exhibition Artista Bambino. 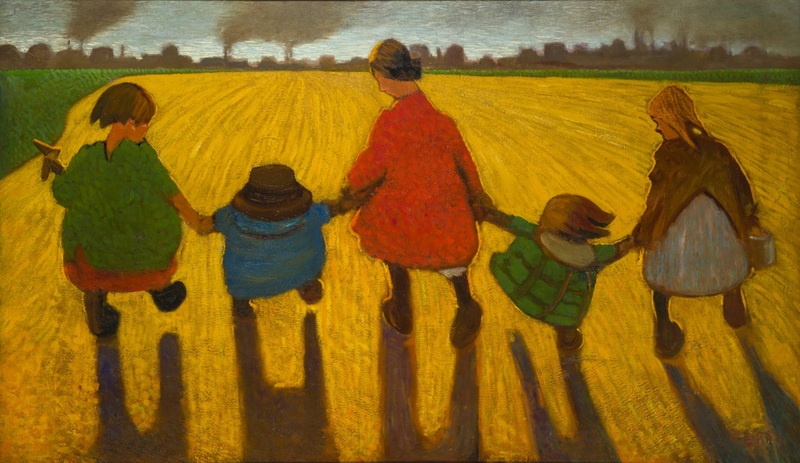 Childhood and primitivism in Italian art of the early twentieth century. The exhibition, curated by Nadia Marchioni, explores the “regression” toward the childish drawing and the desire, of important artists of the early twentieth century, to recover a primitivist language. Starting from the archaisms of Tuscan painters, devoted to the study of the masters of the thirteenth and fourteenth century, the exhibition develops an exciting journey through the works of artists fascinated by the child’s world, taking inspiration, in various forms and styles, from its simplicity, its poetry and the suavity of the colours and represented subjects. More than one hundreds works (paintings, graphics, sculptures, photographs, vintage magazines, documents…) by artists such as Giorgio Morandi, Giacomo Balla, Pablo Picasso, Carlo Carrà, Giorgio de Chirico, Mario Sironi, Ardengo Soffici, Alberto Magri, Lorenzo Viani, Ottone Rosai, Renato Birolli, Gianfilippo Usellini and Carlo Erba, divided into six sections, are exhibited at the Fondazione Ragghianti.